1864 – The 2-day Battle of Jonesboro began during the Atlanta Campaign in the Civil War. 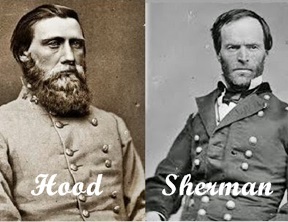 Two Union armies led by Maj. Gen. William T. Sherman maneuvered to draw the Army of Tennessee (led by John Bell Hood) away from their defenses at Atlanta. Although Hood’s army was not destroyed, the city was abandoned and then occupied by Union troops for the rest of the war. The capture of Atlanta greatly aided the re-election of Abraham Lincoln in November, and hastened the end of the war. Hood led his defeated army away from Atlanta and to the west, opening the way for Sherman’s March to the Sea. 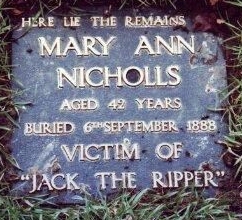 1888 – Mary Ann Nicholls, the first victim of London serial killer “Jack the Ripper,” was found murdered and mutilated in Whitechapel’s Buck’s Row. The East End of London saw four more victims of the murderer during the next few months, but no suspect was ever found. 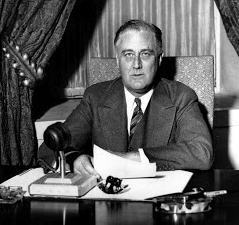 1935 – President Franklin D. Roosevelt signed the Neutrality Act, or Senate Joint Resolution No. 173, which he called an “expression of the desire…to avoid any action which might involve [the U.S.] in war.” The signing came at a time when newly installed fascist governments in Europe were beginning to beat the drums of war. The legacy of the Neutrality Acts – there were three more signed; in 1936, 1937 and 1939 – is widely regarded as having been generally negative: they made no distinction between aggressor and victim, treating both equally as “belligerents”; and they limited the U.S. government’s ability to aid Britain and France against Nazi Germany. 1939 – Despite threats of British and French intervention, Nazi leader Adolf Hitler signed an order to attack Poland, and German forces moved to the frontier. 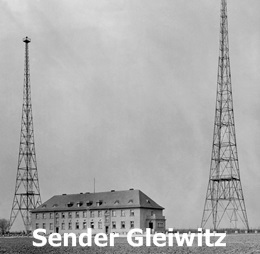 That evening, undercover German units dressed in Polish uniforms attacked and seized the German radio station Sender Gleiwitz in Gleiwitz, Upper Silesia, Germany. 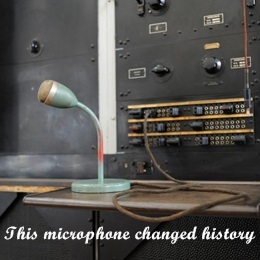 They then broadcast an anti-German message, using the microphone shown at the top of this column. To the make the plan look valid, the Germans took Poles from concentration camps, killed them, put them in uniform, and left them dead at the scene. Nazi propagandists publicized the “attack” as an unforgivable act of Polish aggression. World War II would begin the following day. 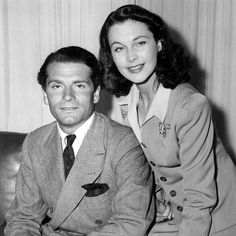 1940 – Actor Laurence Olivier and actress Vivian Leigh were married. Their often stormy marriage ended in divorce in 1960. 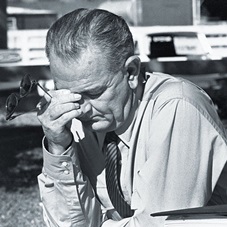 1967 – After the Senate Preparedness Investigating Committee criticized Robert McNamara – saying the Defense Secretary had “shackled” the air war against Hanoi – President Lyndon Johnson made the decision to placate Congressional “hawks” and the Joint Chiefs of Staff. He expanded the approved list of targets in the north, authorizing strikes against bridges, barracks, and rail yards in the Hanoi-Haiphong area and additional targets in the previously restricted areas along the Chinese border. 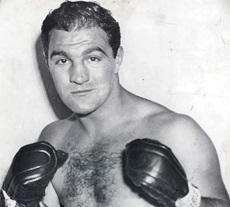 1969 – Rocky Marciano, the only heavyweight champion to have retired without a defeat or draw in his professional career, died in a plane crash. Marciano was headed to Des Moines, Iowa in a small private plane when the weather turned bad. The pilot, Glenn Belz, had only 231 total hours of flying time; only 35 of them at night. Belz tried to set the plane down at a small airfield outside Newton, Iowa, but hit a tree two miles short of the runway. The fatal accident occurred one day before Marciano’s 46th birthday. 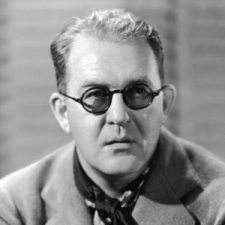 1973 – Director John Ford died at the age of 79. In a career that spanned more than 50 years, Ford directed more than 140 films and he is widely regarded as one of the most important and influential film-makers of his generation. Ford won four Best Director Academy Awards (The Informer, The Grapes Of Wrath, How Green Was My Valley, and The Quiet Man. Many of his films starred John Wayne: The Quiet Man, The Man Who Shot Liberty Valance, Stagecoach, Donovan’s Reef, The Searchers, They Were Expendable, She Wore A Yellow Ribbon, The Alamo, and many more. 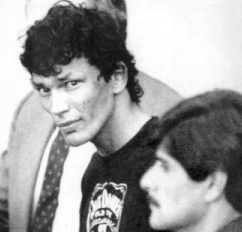 1985 – Richard Ramirez, the notorious “Night Stalker,” was captured and nearly killed by a mob in East Los Angeles after being recognized from a photograph shown both on television and in newspapers. Identified as the suspected serial killer, Ramirez was pulled from the enraged mob by police officers. 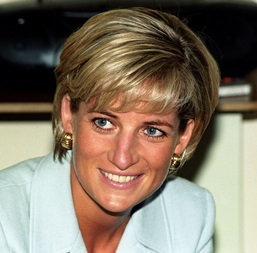 1997 – Diana, Britain’s Princess of Wales, was killed in an early-morning car crash in the Pont de l’Alma road tunnel in Paris, France. She was 36. The accident also caused the deaths of her companion Dodi Fayed and the driver, Henri Paul. Although the media blamed the behavior of the paparazzi closely following the car, a French judicial investigation in 1999 found that the crash was caused by Paul, who lost control of the Mercedes at high speed while he was intoxicated and under the effects of prescription drugs. However, a 2008 inquest at the Royal Courts of Justice in London heard damning eyewitness accounts of “blocking cars” allegedly being used to try to slow down the car, and of paparazzi frantically taking pictures of the wrecked Mercedes in the Alma tunnel in Paris rather than trying to help its occupants. On April 7, 2008, the jury concluded that Diana and Fayed were the victims of an “unlawful killing” by the “grossly negligent” chauffeur Paul and the drivers (paparazzi) of the following vehicles. Diana’s funeral is estimated to have been watched by 31.5 million viewers in Britain. Precise calculation of the worldwide audience is not possible, but it is estimated at around 2.5 billion. 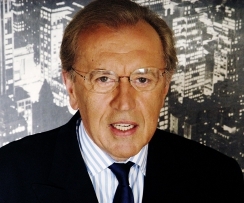 2013 – Television host Sir David Frost (That Was The Week That Was, The Nixon Interviews, Through The Keyhole) died of a heart attack at the age of 74. Compiled by Ray Lemire ©2018 RayLemire.com / Streamingoldies.com / All Rights Reserved.